Dynamic Response understands the importance of noise and how it can affect the usage of a building. Noise is a term that defines unwanted sound and can range from noise nuisance for example, noisy neighbours, to unwanted reverberation or echo in a room. We able to provide sound insulation testing and design advice for conversions and new build projects in line with the ‘Building Regulations Approved Document E’, along with various other building acoustic requirements. The building regulations Approved Document E (2003) amended in 2004, amongst other things require that buildings are sound tested in order to confirm they meet the required acoustic performance as outlined in the document prior to completion, and therefore occupancy. 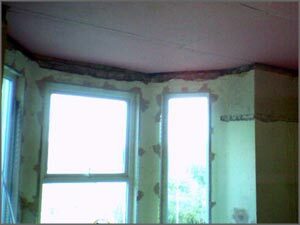 Sound insulation testing also known as PCT testing has been introduced to raise the standard of sound insulation between dwellings to reduce the rising level of complaints received about noise transmission. It has been seen that complaints due to noisy neighbours tolerated over a period of time usually result in possible statutory noise nuisance complaints or proceedings. Due to the new guidance within the Approved Document E, a minimum standard of sound insulation must be achieved for party walls and party floors separating residential dwellings. 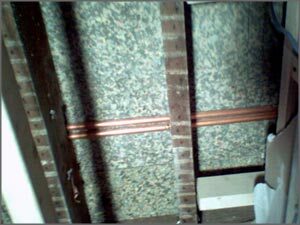 It should be remembered that failure of a test will result in the sound insulation needing to be improved. Therefore, the newly formed construction type will require re-testing accordingly. On site, sound insulation testing is separated into two main categories including airborne and impact sound insulation. 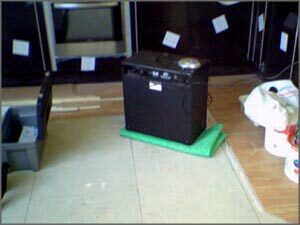 As it sounds, airborne sound insulation testing is focused on protection against noise generating sources such as televisions, music and conversations etc, whilst impact sound insulation testing is focused on footsteps or other impactive elements. 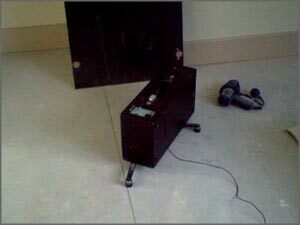 As a basic overview, an airborne sound insulation test is carried out by introducing a given noise source into a room, measuring the generated noise in that room, and then measuring the noise as a result of noise transmission in the receiving room due to the sound reduction parameters of the separating party wall or floor. In addition, an impact sound insulation test is carried out by introducing a calibrated tapping hammer into the source room, and again measuring the noise transmission in the receiving room due to the sound reduction parameters of the separating party floor. The procedure just described above is undertaken and assessed in conjunction with the relevant standards such as BS EN ISO 140-4 etc, and the results including certification issued within a technical report. Other than the physical testing aspect of sound insulation, the design element can ultimately determine what the acoustic performance is likely to be. 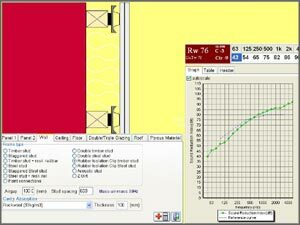 Using state of the art software and our experience in the industry, we are able to calculate how a given construction is likely to perform during a sound insulation test. Knowing this, we are able to provide specifications for new build and conversion projects prior to completion to help prevent further building and/or construction activities, and therefore wasted time and money as a result of remedial works due to a sound insulation test failure. Similarly, if an upgraded level of acoustic performance is required for example separating party walls or floors between industrial and residential properties?, we aim to calculate the required construction to achieve a target figure specified by the client or Local Authority etc. 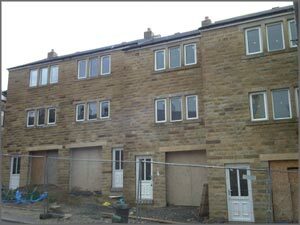 Before building or converting your property, we can perform a desktop evaluation of your planned development. This might include reviewing party wall and/or party floor constructions, glazing specifications due to noise break-in, reverberation control or other acoustic factors as per your requirements. We aim to provide our advice and services for any building acoustics or architectural acoustic issues. Whatever your requirements relating to building acoustics from sound insulation testing (PCT), building design, noise control, noise mitigation or otherwise, please do not hesitate to contact us.